A quite strong wind was blowing from east today. 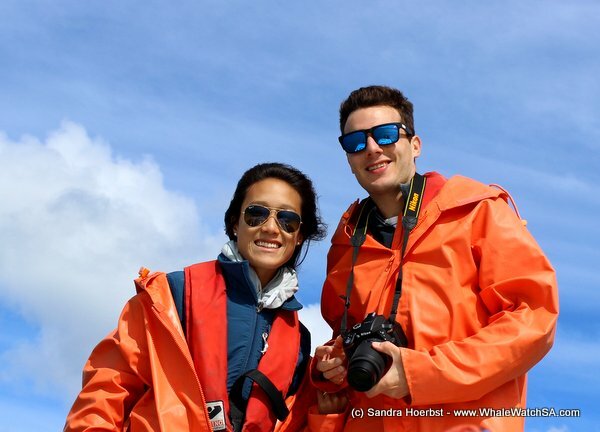 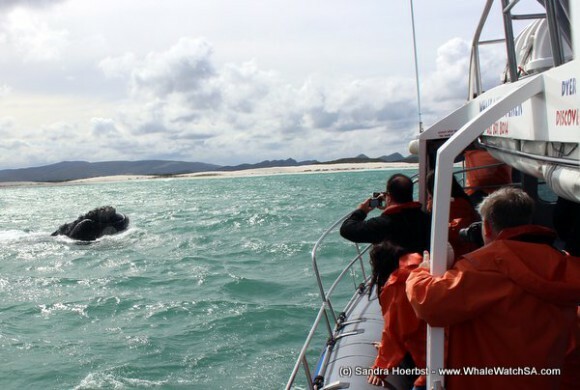 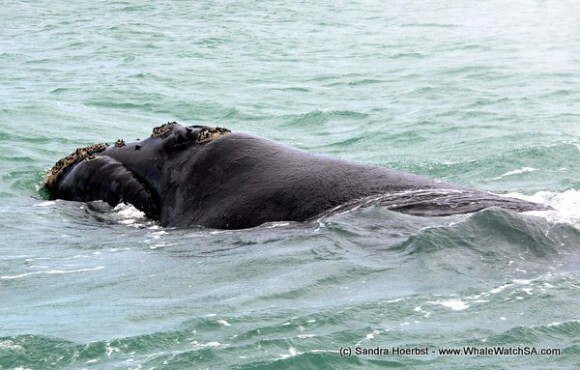 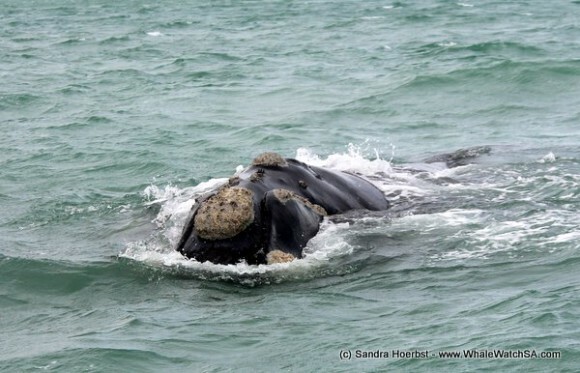 Shortly after launching from the Kleinbaai harbour, we spotted our first Southern Right Whales. 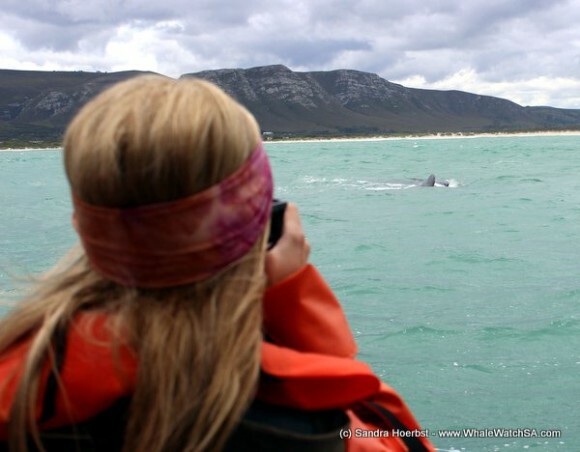 Today we had a friendly and curious female, she approached our vessel several times and had a closer look at us. 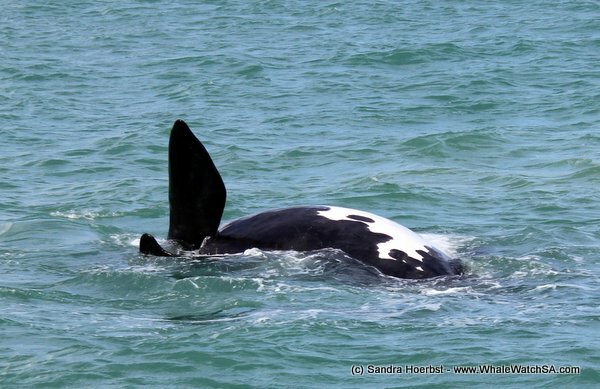 We also spotted a mother with her calf in the distance, but we didn’t go closer as we didn’t want to disturb them. 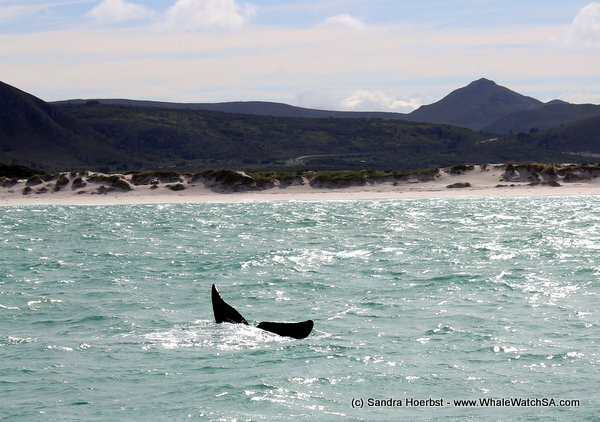 On our way towards Shark Alley we crossed a African penguins way and had a look at him, sicking his head out of the water. 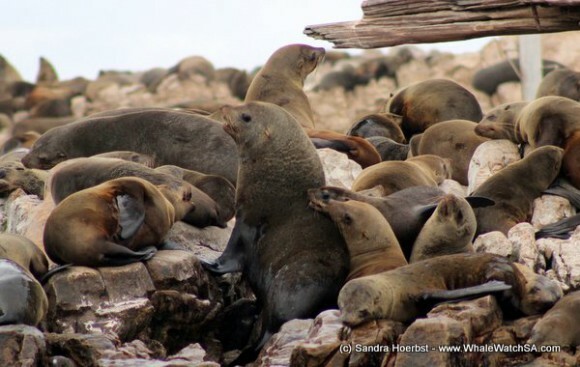 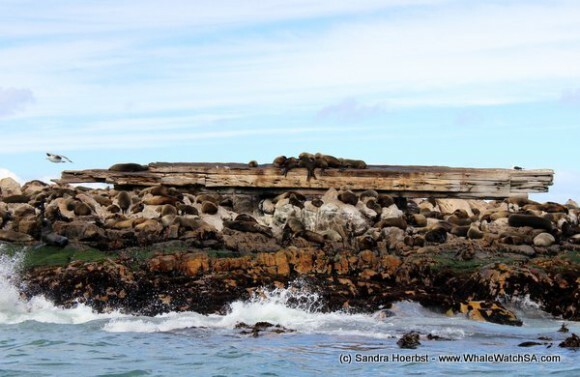 All the Cape Fur seals from Geyser Rock were laying around peacefully. 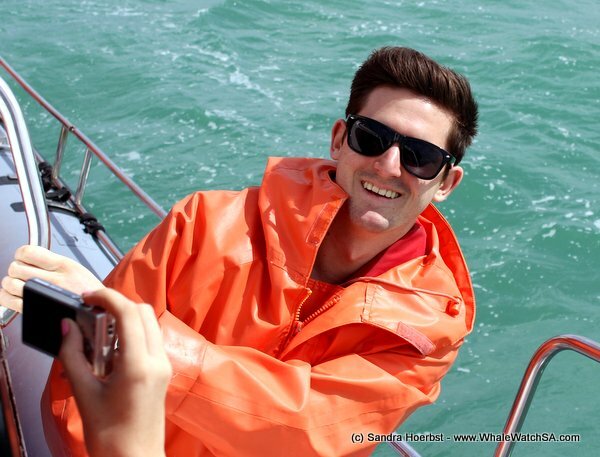 What a nice day!